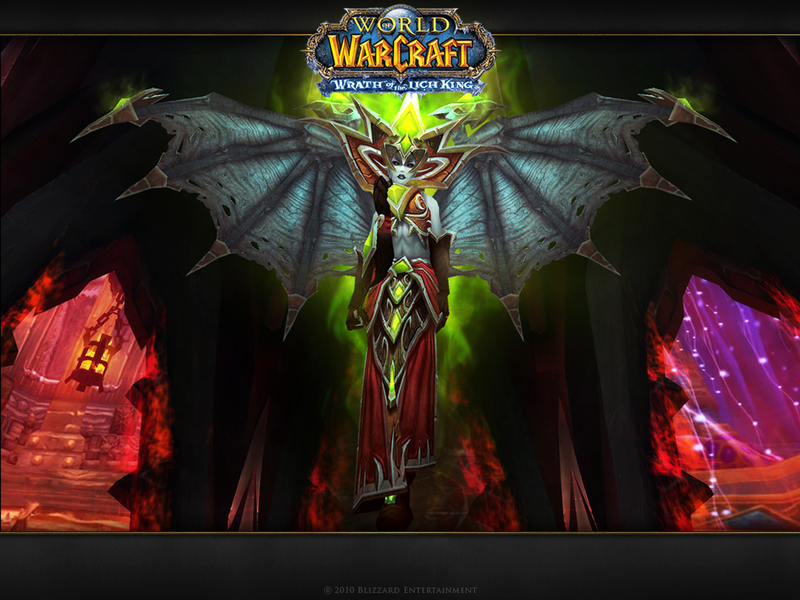 The latest Blizzard background dropped on my workstation this morning and this got me excited for tomorrows maintenance cycle. The red glow, twinkly lights, and scourge lantern, looks like a new boss for me. Is she going to be like the Violet Hold end boss and she transforms or will she stay in this warlock tier-6 winged form? 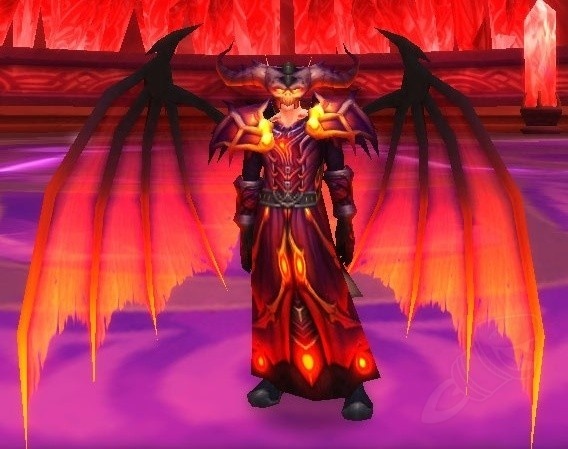 On another topic, warlocks get all the cool looking gear, I'm jealous. Wow! Showing my noobishness. I've pugged her once, but she never died. Something about the kiss that stumbled the group. Hey Elk... Go run Mt. Hyjal and you to can have that helm. The helm procs the wings. Totally awesome. I'm running around in Heroics with my T6 helm and still doing crazy dps. The helm token drops off off Archy. I am totally considering it (Classic Raider FTW). Now that I have a 5500 gear score, I wanted to see how much of Hyjal and BT I could solo to get the set. Unfortunately all the videos I've found, show some private server hack running BT. 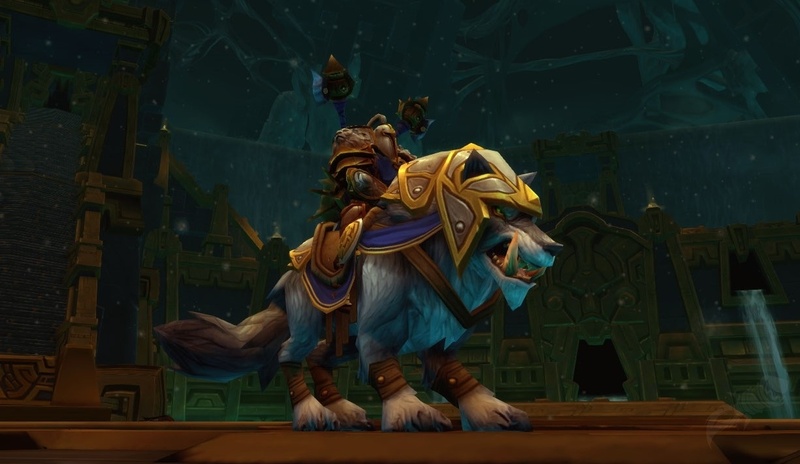 Maybe this weekend, I can grab a guildie tank and heals and give it a try.